One of the videos was recorded in 2004, another one in 2013 and the newest one in 2014. 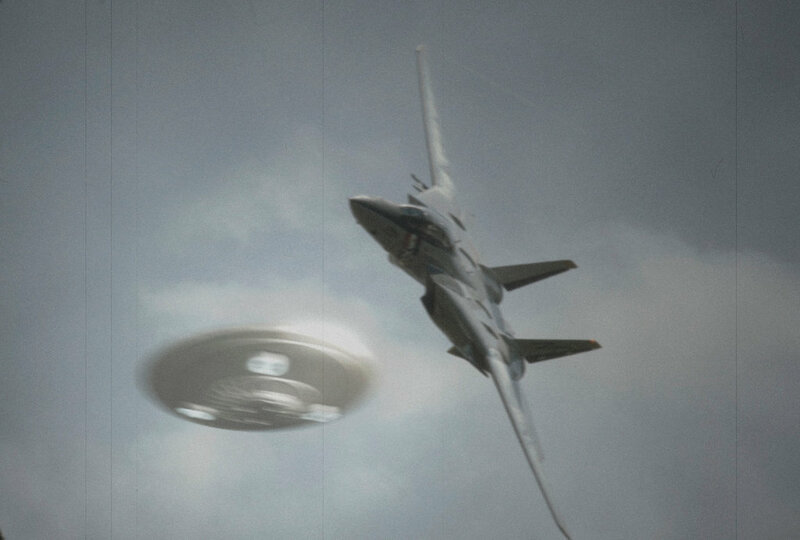 In the videos, we see a UFO performing maneuvers, unlike anything mankind can create today, ignoring gravity and laws that govern over manmade vehicles. Both videos were analyzed by experts who agree that the objects in question are extraordinary and unlike anything they’ve ever seen. Some of these UFO’s were not visible to the naked eye and somehow managed to avoid being detected on radar. In the 21st century, there are two types of people when alien life is discussed. Those who firmly believe we are being visited –and have been visited for thousands of years— and those who believe that UFO sightings are entirely a man-made phenomenon. Certainly, while there are countless faked videos available on the internet, there are a couple of videos which are beyond fascinating. They are bewildering. Two of those videos have recently been declassified by the government. One of the most fascinating UFO videos was recorded by Homeland Security. The video is out of this world. In the video, a mysterious UFO is seen performing maneuvers, unlike anything mankind can create today. The unidentified flying object is seen moving at extremely fast speed over land and then shoots off into the distance. The laws of physics that govern over man-made aircraft have little effect over this UFO which seems to ignore gravity completely, moving through the sky at speeds up to 120mph, while performing turns and maneuvers our aircraft are not capable of. Interestingly, at one point, the UFO seems to dive into the water without slowing down. What kind of aircraft can do that? The video was revised by the Scientific Coalition for Ufology, a group of people who have an extensive and long background in science have teamed up to study evidence which points to otherworldly visitations. The following Unidentified Flying object was recorded on video by a thermal imaging camera on a DHS aircraft, in the sky over Aguadilla in Puerto Rico. Ufologists believe that this is the best evidence of UFOs monitoring our activity on planet Earth. You can check out the full report here. Researchers analyzed the video and came to the conclusion that the object in question exhibits characteristics that defy the laws of physics as we know them. It simply cannot be cataloged as a drone, military aircraft or natural phenomena. The second video –equally bewildering— was recently declassified and filmed in 2014. Furthermore, reports state that the pilot tried numerous times to communicate with the UFO, using the multinational, civilian bandwidth designed specifically for his purpose. He received NO reply. Simply put, unbelievable. Videos like these are precisely what is needed for society to understand that there are some things out there that conventional explanations do not satisfy. Another equally amazing sighting was recorded on March 05, 2004, when the Mexican Air Force witnessed 11 flying objects flying along side of them during an air patrol of a drug smuggling. Strangely, the unidentified flying objects were only visible through the military plane’s IR-system (infrared), and could not be seen with the naked eye. According to reports, the equipment was operated by highly skilled Air Force officers and analyzed by the Department of Defense. Neither the crew nor ground personnel could see the 11 UFOs on radar. The Mexican Department of Defense ruled out all mundane explanations for the sightings. The atmospheric conditions were nearly perfect. There was no temperature inversion in the area and winds were light at less than 20 mph. There was a complete absence of lightning, seismic activity, or volcanic activity. Venus was not visible at the time. There are some skeptics who have dismissed this UFO encounter as an oil platform burn-off flares, but the Mexican military pilots said that the elevation of the lights was clocked at a higher altitude than theirs. Furthermore, the Mexican Air Force stated they were chasing something, and it disappeared right as the lights appeared.